Serving- Worcestershire, Herefordshire, Shropshire, Birmingham, Gloucestershire and more!! 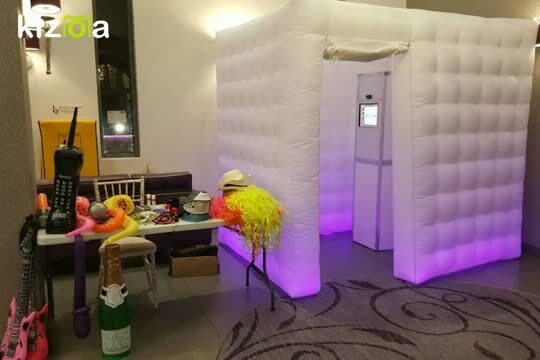 A modern take on the classic, our photo booth is a fantastic way to capture the perfect moment and have some fun!! Our booth is custom made to fit in nearly all venues!!. 8-10 guests can be in the booth at one time this is why people love our booth!! Our beautiful booth has changeable L.E.D lights that really look the part at any occasion. This is the number one accessory for any wedding or party hire that will keep your guests entertained for hours capturing all the fun & special moments as well as giving your guests custom printouts to take home, they can keep and cherish forever. When you hire our Photo Booth you will have setup and take down of our booth carried out by Special Day Rentals, this comes complete with your very own personal booth operator who will arrive smartly dressed, a vast range of many props, your own personalised messages to be added to your photos, unlimited visits throughout the event instantly having x2 photographs printed per visit, online gallery of all photos taken on the event and also when you hire you will get one free CD with all digital photos for you to take home. 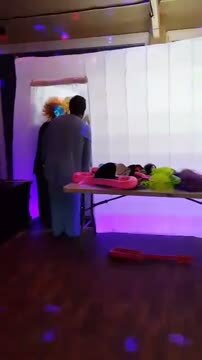 We bring back up equipment for our photobooth!! Please see our Packages page for our price lists!